I loved knitting the 1898 cap so I knit another one in shades of grey. Just because. 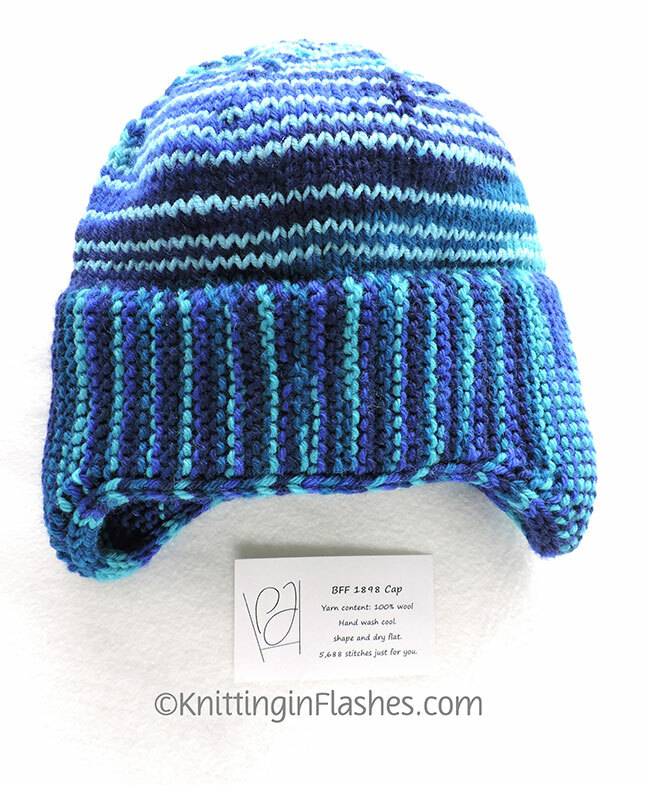 My BFF read about the cap and I offered to knit one for her if I could use yarn from my ever-expanding stash. 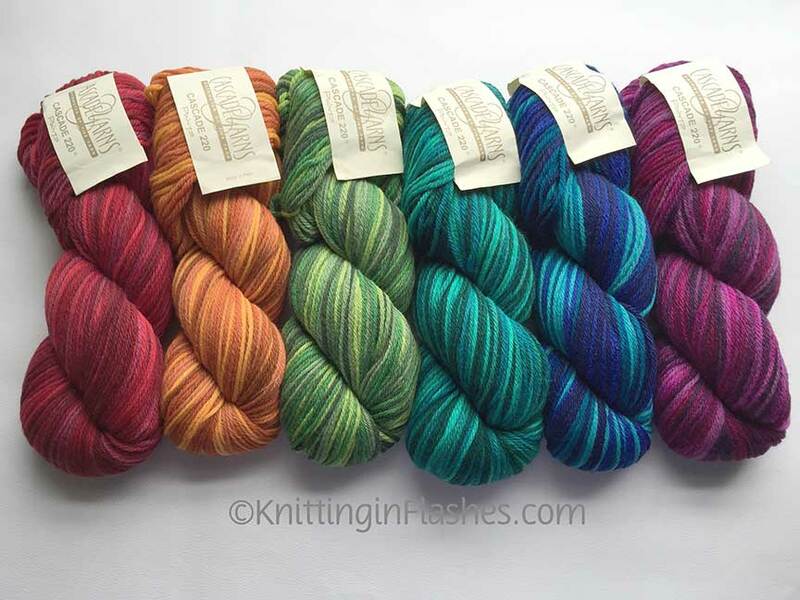 She is so not a grey person and picked the blue variegated one (second from the right). As so another quick knit was born in three days. 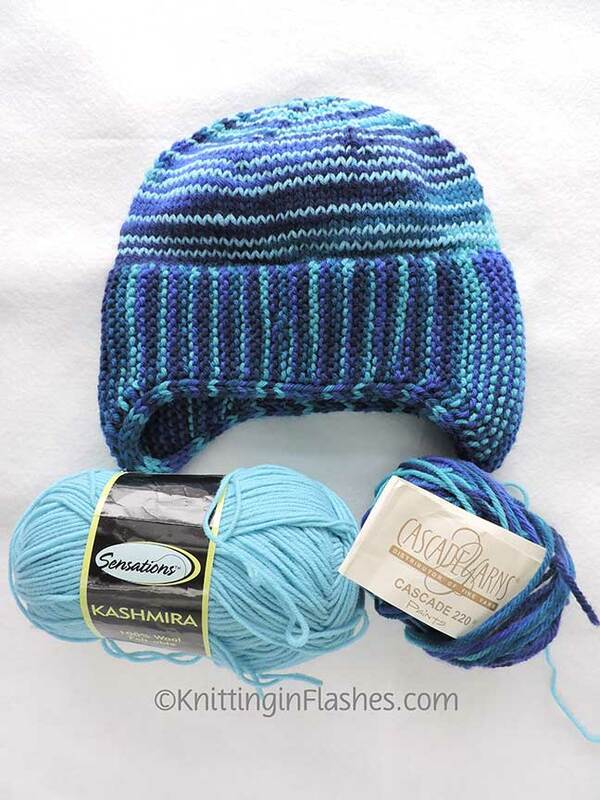 The yarn is Cascade 220 Paints and I love the color BUT it pools terribly for this needle size and stitch count. Pooling means that the colors group together in pools rather than float nicely around the item. Sometimes it’s a good thing and sometimes not. I wanted the colors play together and not be antisocial and cling together. The headband is knit first and I really liked the way the colors spread but then when I began the crown part, I was not too happy with the way they didn’t as you can see below. If that would have happened on the front instead of the back, it would have been fine. I ripped the crown apart and tried to knit with both ends to get rid of the pooling but I was not successful. 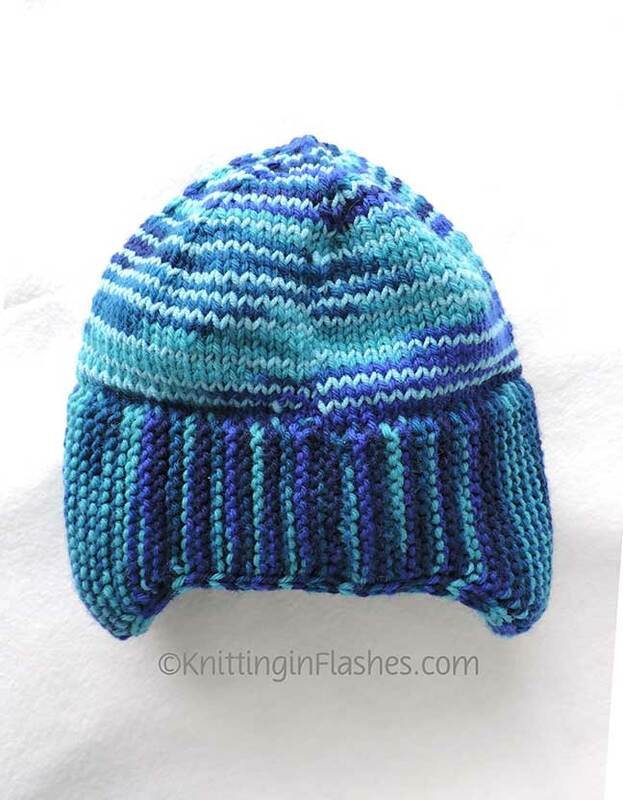 I had a similar solid light blue in my stash so I randomly knit a row here and there to break it up. 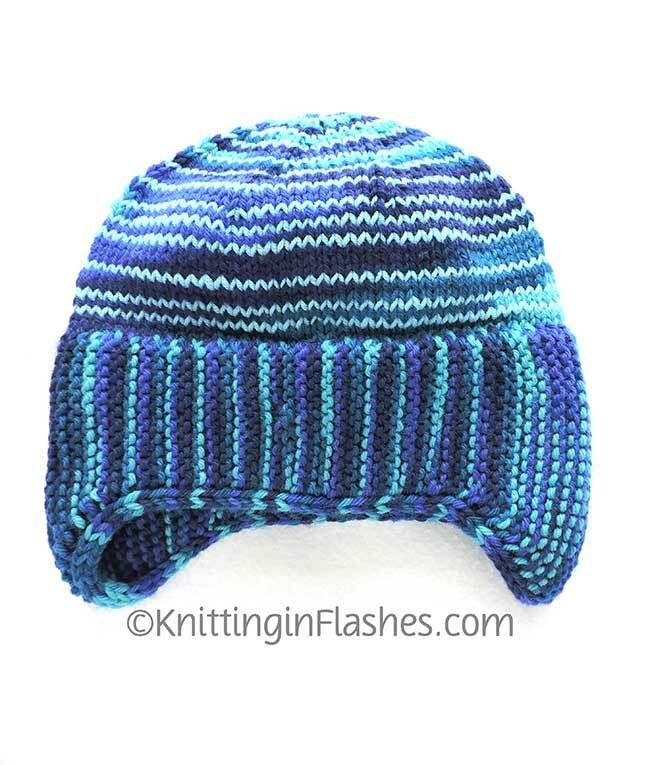 This entry was posted in finished object, friends, knit, knitting, knitting pattern, yarn and tagged 1898 hat, finished object, friends, hat, knit, knitting, pattern by Patti_is_knittinginflashes. Bookmark the permalink. It is beautiful and colorful and very warm. Thanks so much. I love it. It looks great! Good idea to break up the colors that way.